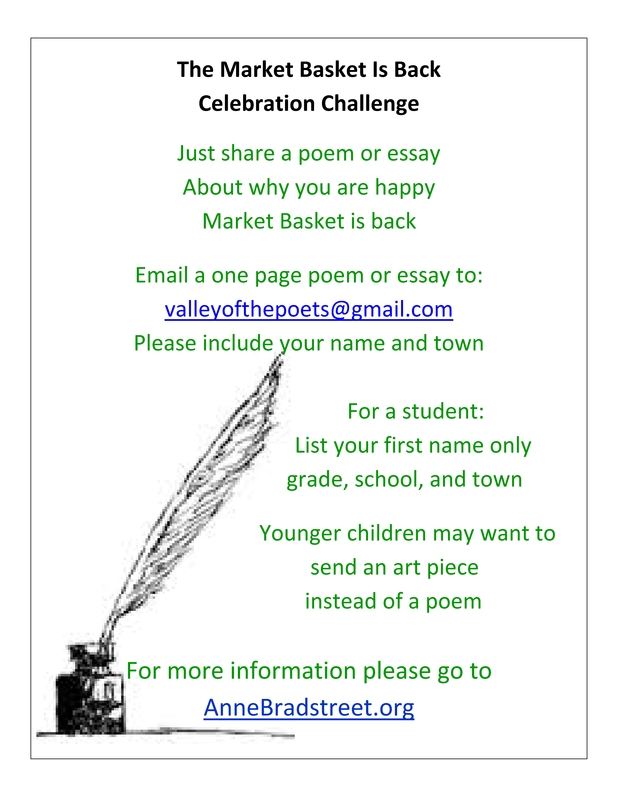 COME MEET AMERICA’S FIRST POET AND CELEBRATE HER BIRTHDAY WITH US HERE IN THE VALLEY OF THE POETS. 2012 marks the four hundredth anniversary of poet Anne Dudley Bradstreet’s birth. 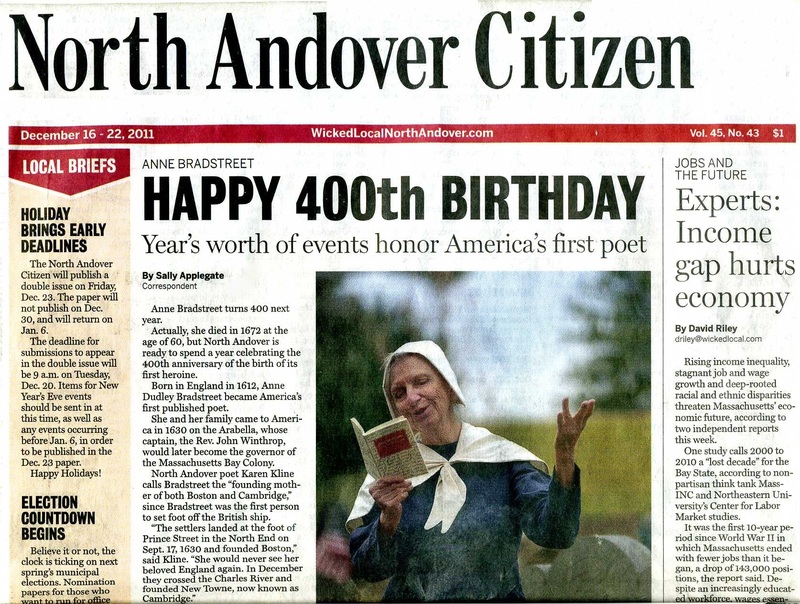 Citizens of North Andover and Andover, Massachusetts have established the Friends of Anne Bradstreet Foundation to foster awareness and appreciation of the life and work of Mistress Bradstreet, the first female published poet of the New World. In the 17th century most women could not even read, let alone write. Yet her reflections on motherhood, love and early stirrings of feminist feelings ring stunningly true today. 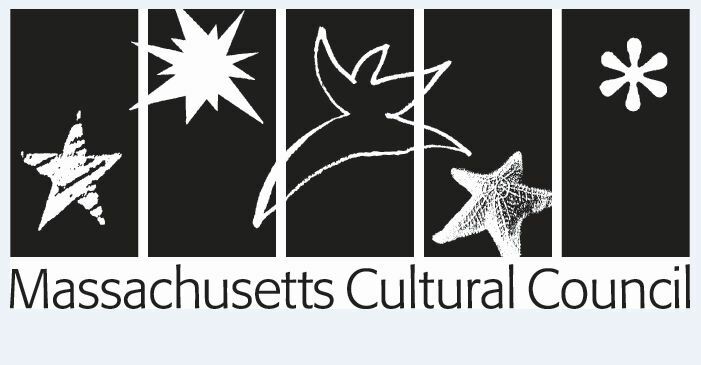 Additionally, Anne’s role as a Founding Mother of the Mass Bay Colony and in particular, of Andover/ North Andover has been largely overlooked. In 1630, eighteen year old Anne sailed with her husband, Simon Bradstreet and other Puritans to the wild shores and forests of New England. The story of Anne Bradstreet portrays a courageous, gifted woman and throws light on the history of this early period of America’s formation. Her father, Thomas Dudley was the second governor of the colony, her husband a member of the Bay Colony Council; she rubbed shoulders with this country’s beginnings. For two hundred years or more school children read this poet’s words, but with the start of the 20th Century she disappeared from most textbooks. Bradstreet’s work faded into the shadows of history. 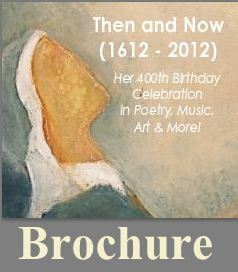 Since Anne Bradstreet is indeed a seminal figure in our culture, the Friends are excited to present a series of events to celebrate her accomplishments throughout 2012 and beyond. I am an Irish student, currently writing my MA thesis on Anne Bradstreet. I am very interested both in contacting Karen Kline, and in speaking to anyone involved with this year’s celebrations. I am particularly intrigued by the statement above that, “[f]or two hundred years or more school children read this poet’s words”; it would greatly help my work to find out more about any possible links between Bradstreet and children’s culture and/or education. Please don’t hesitate to contact me, I would be so grateful if anyone could broaden my knowledge of this remarkable woman. Please let me know how your studies are progressing. I imagine you are done with your Masters degree. Let me know how everything is going for you. Best of luck with all of your efforts! Lynn, I do hope you found what you needed about Anne. I missed this message until just now so I did not reply to you. Let me know how your work is going and if there is anything I can do to help. I am so glad you saw this site and hopefully discovered new information here.